Generally, people find it very daunting to visit a psychologist in order to have a psychological evaluation. This fear increases when the couple is planning to adopt a child especially after more than a few unsuccessful attempts to conceive a child of their own. They might be going through severe frustration and dilemma plus are not ready to take any chance that would not allow them to have a child. However, having pre-adoption psychological evaluation is very imperative for the healthy upbringing of the child. Furthermore, it helps the potential adoptive parents to give their best in the future. Hence, it is a mandatory step of international adoption process. For every country, the requirements might differ but the process of pre-adoption psychological testing remains the same. 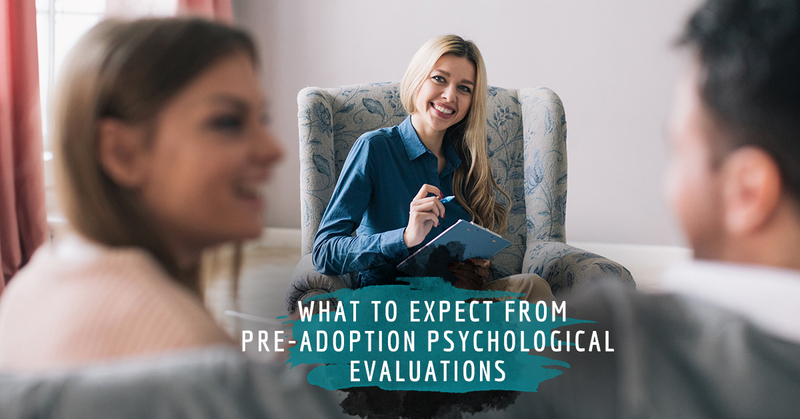 The length of time for pre-adoption psychological evaluation interview is approximately three to four hours. The interview is divided into two main segments. The first hour is dedicated to the one-to-one interview between potential adoptive parents and the psychologist. Typically, we see each parent separately and then together as a couple. The last two hours are reserved for the true or false assessment known as Multiphasic Personality Inventory-2 or the MMPI-2. The key reason of carrying out an interview is to develop an accurate history. We discuss individual history as well as the history of the couple. We also like to review the Home Study Report (HSR) if it has been completed. The clinical interview is mandatory because it would be unethical if the psychologist interprets the result of the MMPI-2 without having required conversation with parents-to-be. This psychopathology assessment is composed of 567 sensitive true or false questions. The couple planning to adopt child is requested to conduct the test in the psychologist’s office. It is not a general knowledge or education based quiz. For this, one does not have to study. It requires the respondent to select the best possible answer according to their preference. Questions are associated with one’s encounter with anxiety, depression, or any other mental disorder. It is normal to feel anxious while attempting the assessment, particularly when one comes across the questions which do not seem to be related to the adoption procedure. The results are then discussed in the psychological report. What happens after the interview and MMPI-2 test? Right after the detailed interview plus pre-adoption MMPI-2 assessment, the psychologist composes one letter according to the country’s requirements. A majority of agencies give a sample letter and few of them might also request for a review of the report before submission. It generally takes two to three weeks for the final report to be completed. During the interview and the test, be yourself and know that it is normal to feel a little anxious. It is absolutely fine to open up in front of the psychologist regarding your previous psychological issues and personal history. At Dr. Angela Reiter & Associates in Eastchester, NY, we make the Pre-Adoption Evaluation as seamless as possible and are sensitive to the concerns and issues that a pre-adoptive couple or individual may have experienced in the past. Issues such as past psychological treatment for anxiety, loss of a pregnancy, and difficulty conceiving are frequently encountered and are treated with understanding and compassion. We know that the adoption process is stressful and will assist you in this step of the process in a thoughtful and timely manner. Dr. Angela Reiter has completed countless Pre-Adoption Evaluations and is highly familiar with the requirements with numerous countries who participate in international adoptions. Contact us today to start the Pre-Adoption Evaluation process. We start with a free 15 minute phone consultation to discuss the requirements for the country you plan to adopt from as well as details of the process and costs. Then we schedule approximately 3-4 hours of time (which can take place on the same day if needed, or spread out over several sessions depending upon your schedule). After the interview and testing, the report will be sent to the required parties within 2-3 weeks. Contact Dr. Angela Reiter & Associates in Eastchester, NY today!